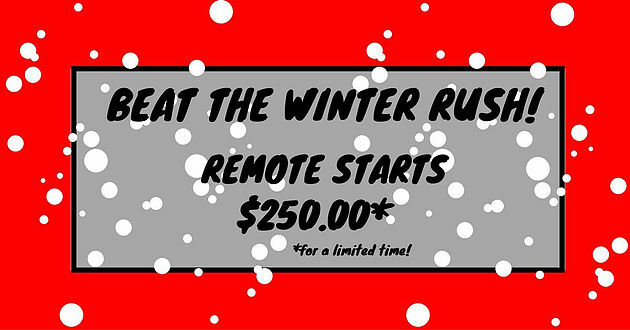 Winter is approaching fast so beat the winter rush and get your remote start early! We have VIPER remote starts starting at $250.00! We also offer a lifetime warranty on the installation for as long as you own the vehicle.